Living room curtains play an important role not in terms of decoration by adding texture and color to the room and make the space appear warm and cozy. Living room curtain colors should be matched with other decorations of the living room. Living room accent colors are a good place to start when deciding curtain color. To get good amount of natural light use light colored curtains and if the room is too sunny darker curtains could help temper the bright light choose a color that no more than three different shades of color curtain. Each colour has its own significance in Feng Shui and you can choose colors of curtains depending upon the energies required in that room. Red colored curtains can keep you and your guest energized. 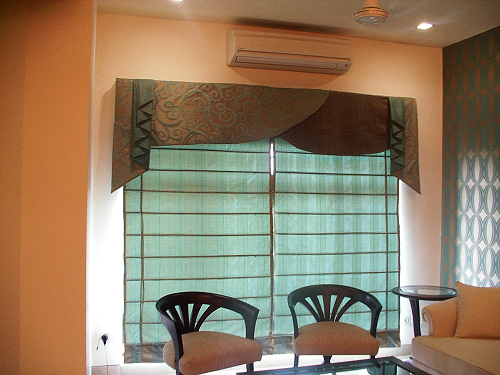 Green colour curtains are good for the living room to get soothing and calming effect. Orange curtains look beautiful with busy pattern or use cherry red curtains on the pale tones of living room. It is very important to double-check the material of fabric of the curtain as it is not necessary that all fabrics will suit your living room. 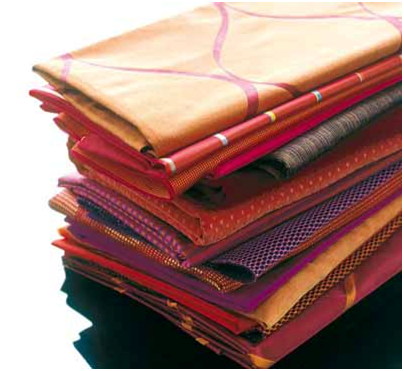 You can choose from a wide range of fabrics like cotton, synthetic fiber, velvet, lace etc. You can also use different sorts of fabrics and patterns to create your own style statement. You can go for floral, checkered and plain design patterns or to be more open select unusual designs like psychedelic and abstract patterns. Use Lightweight Fabrics like sheer cotton, linen as well as lace as they bring in a considerable amount of light and make the space more bright and energetic. For easy maintenance and longevity choose the cotton drapes. Heavy fabric curtains are also good choice as heavy fabric will block out light when the curtains are drawn as well as help to control the temperature of the room in cold weather. Colorful curtains in living room can enhance the whole beauty of it. Curtains come in many styles and designs and all of them have their own benefits and can be used to create different styles and moods. For living room decoration you can choose any of the below mentioned style which goes well with all kind of decoration. Pinch Pleated Drapes and Curtains are the most commonly used in living room window treatments as they add elegance and sophistication in room. In this style of curtain the top of the drapery is accented with tight, uniform pleats. Pinch Pleated Drapes are hung using hooks / pins or ring clips and can be hung directly from the ceiling or from wall to wall. Pinch pleat curtains create a classic, full appearance to complement your windows. 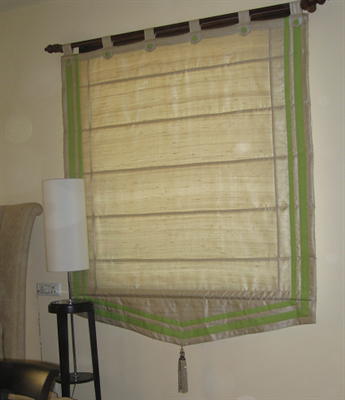 Eyelet curtains have metal-edged holes at the top with soft pleats running vertically down the fabric. 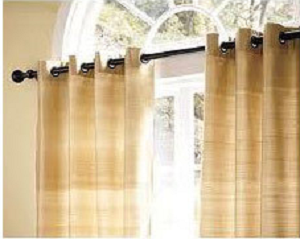 To hang these curtains a curtain rod may be inserted through the holes before hanging the eyelet curtains. It goes well with plain fabrics in muted tones especially effective where other fixtures in the room are metallic. To get some more style and elegance two different colors or two shades of the same color could be used for each set.Eyelet curtains comes in many styles and color, you cal also get customized Eyelet curtains according to your living room window sizes. New York Pleat or Inverted pleat curtains are the good substitute of standard Pinch or Pencil Pleat Curtains which gives a casual look to your windows. 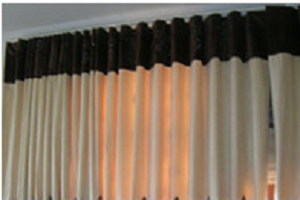 You can use Plain fabrics or those with textured weaves for created New York Pleat curtains. As the name suggest Inverted curtains are curtains that have their pleats on the back side of the fabric which make them simply elegant and very popular among the homemakers who want something different from the standard Pinch plated curtains. 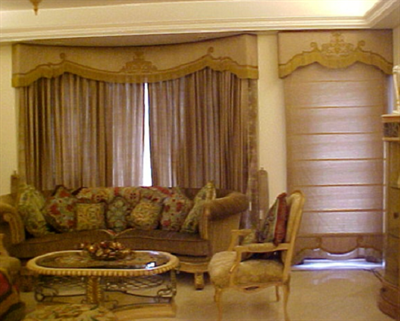 Living Room Valance Curtains look very beautiful and give a nice, royal and elegant look to your living room. They will give a extra volume to living room windows. You can choose scarf valances for simple window treatments, balloon valances and swag valances to bring a classic look in your living room. 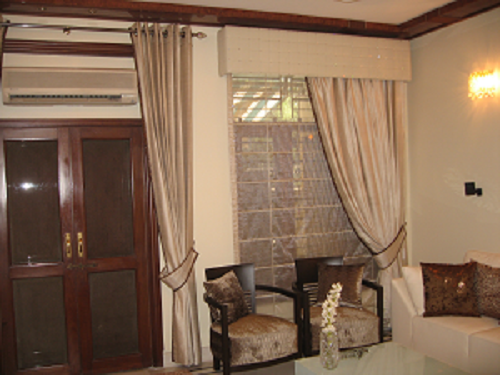 Valance curtains are a simple accessory that can add an elegant touch to your living room decor. 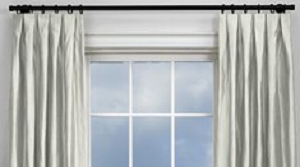 If you have small windows in your living room keep the treatment simple. Keep the living room curtains just below the sill if you need to keep them clear of the floor Or have them finish half an inch or so above the floor. You can also let them 'puddle' on the floor by making the living room curtains extra long. So Next time when you are going to buy curtains for your living room keep the above mentioned points in mind so that you will get perfect curtains for your place. Always choose the curtains which goes well with your other room decorations.